As regular guests to this site know, I don't spend much time pursuing holsters. But coincidentally, about the time I was going shopping for a couple of specific holsters, the good people from 7.62 Precision contacted me. They offered to send some holsters of my choice for whatever gun I wanted to test them with. They recommended a Front Line "tuckable" deep concealment holster for my Ruger SR9c which I was happy to agree to. 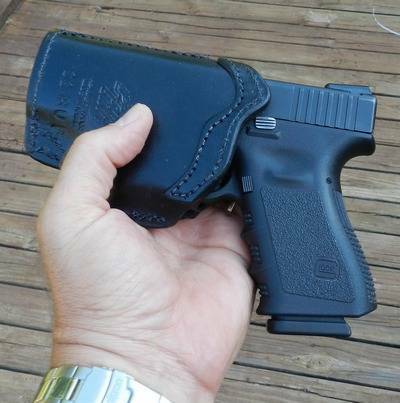 Also, I chose a Front Line IWB leather holster for a loaded GLOCK, the subject of this review. That's the way it's described, but is specifically made for a GLOCK ready to fire. Below is a picture of the holster next to my G23. 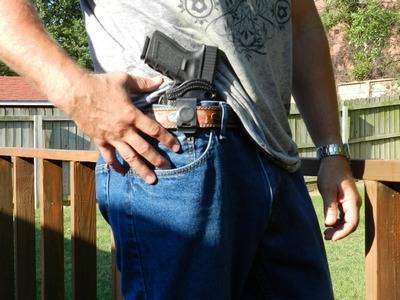 This holster and the other one reviewed in another article are good reasons why it doesn't make much sense to wait on a custom holster to carry your gun. This small IWB leather holster is top quality as far as construction. What made this particularly unique is the reason I chose it specifically. The Teflon insert that the trigger guard locks into. The diminutive size of the Front Line holster at first made me question if it was the right model for my GLOCK 23. But the gun slid in and decisively locked into position, retained by the Teflon insert. Lots of holsters manufacturers have turned out models that attempt to secure GLOCKs by the trigger guard. Some have been proven to be dangerous. This system works, and works well. The feel of the gun locking in the insert and the fact that I held it upside down and shook it, made me wonder if drawing would be difficult. Nope. The gun, gripped solidly, releases and slides right out. The retention is clearly not only a very unique, but a very effective system for holding the gun secure while allowing quick, safe draw. 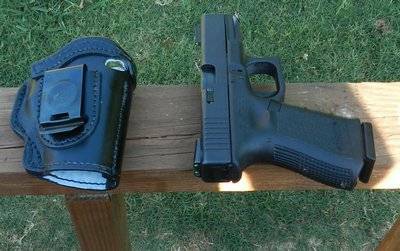 An inside the waistband holster is my usual method of concealed carry, so I had some expectations as far as how the holster would attach and ride my belt. 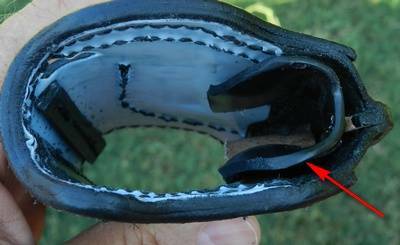 The holster with insert has one drawback here, and that is that the insert causes the holster to retain it's full shape when inserted in the belt line. That means a bit more bulk to the side. That's not a fault. It's simply a trade-off which all holsters have in one or more areas. I was able to effectively conceal it in about the 2:00 position or just behind the side of my hip. The sturdy leather of the holster, insert and gun were a bit too bulky to carry directly on the side. But when placed properly on my belt in the right position, the gun disappeared from sight. As with any new holster or gun/holster combination, I wore it under as many different conditions as I felt were safe and realistic. 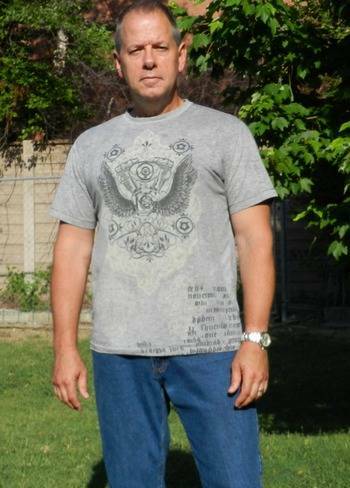 With jeans or shorts, a loose cover shirt, I could carry it in any situation where I was casually moving around or working. The most convincing place I wore it in for quite a while was a ...... nursing rehab facility. I interacted with staff, talked to some patients, and even brought my rather large dog in to see my mother. I had plenty of attention, but nobody noticed the compact duty sized pistol attached to my belt, tucked into my pants. Restaurants, stores and just running around, the holster and GLOCK went with me. Before I write a summary below, let me say I was impressed by the approach of 7.62 Precision in asking me to review these products. These Front Line holsters are high quality. While they are not bank breakers, they are not cheap. But the folks at 7.62 simply asked me to give an "honest review". No other conditions. 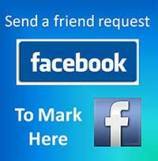 I get a lot of requests to review products companies are willing to give me. Most of them I politely decline because the companies give me a list of conditions that include giving a glowing review of them. All they have to do to get that is what this company did. Just ask for honesty. The rest comes naturally. I'm impressed with 7.62 Precision and would recommend purchasing from them. This is an Alaskan, disabled veteran owned company that I recommend checking out and trusting. I checked the shipping cost of the two holsters they sent, and it was as reasonable as from any place else in the U.S. Finally, their inserts in the package provide a few useful items, and gives information about them and their association with a church in Alaska. SUMMARY of The Front Line IWB leather holster for a loaded GLOCK: This will be a holster I'll use now on a regular basis. It is well made, unique in its gun retention construction. It has a strong metal belt clip and carries securely. The holster positions where the gun can be quickly and easily gripped. The trade off is that with the gun riding a bit high, it makes it a little more challenging to conceal. This holster provides everything it can with the construction. The trade offs are worth what the holster provides in secure concealed carry, quick accessibility, and smooth draw. Check out another Front Line IWB Tuckable Holster that is now a favorite.